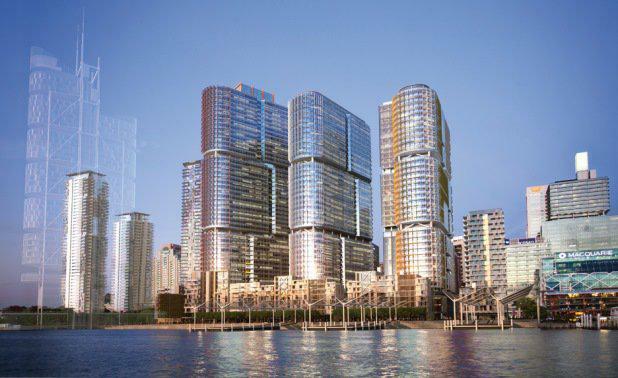 Lend Lease and the NSW government has delayed James Packer’s $1.5 billion Crown Sydney hotel-casino project in Barangaroo. A report by The Australian Financial Review (AFR) says the property giant won a debate in the NSW Court of Appeal three months ago that would cost the NSW government millions on the site’s public infrastructure. “The key problem is the final amount of money, or share of the profits, Lend Lease will pay the government when the project is complete,” the AFR says. Both parties are now stuck in settlement talks about how much – or little – Lend Lease should pay. The method for valuing buildings at the site is at the hands of valuers who will decide the ultimate amount. The 70-storey, six-star project was launched in 2012, spinning off into a design competition that was won by London-based practice Wilkinson Eyre Architects. It was approved by the state government in November 2013 despite not being a part of the original plan for Barangaroo South, which may be an area the BDA can recover some costs, sources tell the AFR. Lend Lease cannot proceed with a submission of the concept plan with the Department of Planning and Infrastructure until the commercial issues are resolved. This means Crown cannot submit its own development application.